Live by oil, now die by oil. The process has been exactly the same in each month. The energy component once amplifying the headline has turned around to subtract from it for the second straight, down nearly 5% in January. That follows from a 10% decline year-over-year in motor fuel prices, mainly gasoline. By itself, it doesn’t necessarily mean anything. 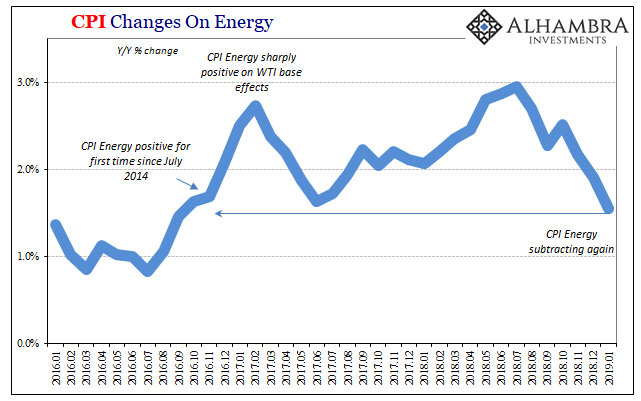 Oil prices are volatile and therefore the CPI will be, too. However, over the last three months of 2018, it wasn’t as if WTI gently declined to a new consumer-friendly equilibrium. 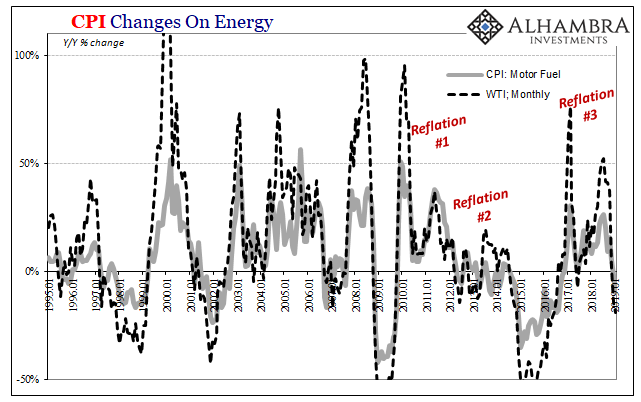 Instead, global oil crashed which was an important contradictory signal, backed up by hugely distorted curves, that lower inflation might be consistent with some level of deflation-like downturn. 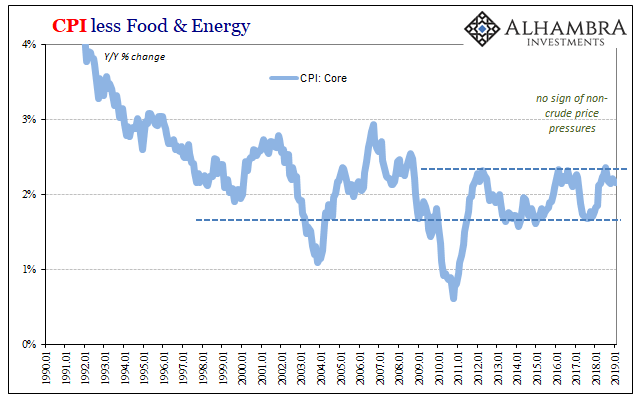 It may be nothing more than an eerie coincidence, but the behavior of the US consumer prices (and a lot more) have been mimicking at least the ups and downs of the latter half of the nineties. 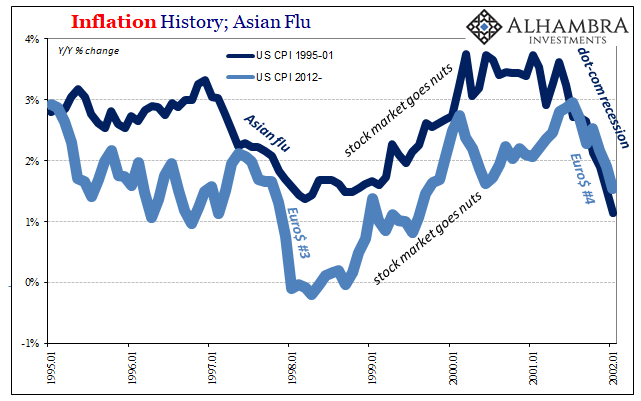 In the US, the sudden appearance of the Asian flu toward the end of 1997, which was nothing more than the first largescale eurodollar squeeze, or dollar short, had a dampening effect on more than just Asia. While the Asian tigers were decimated and Japan lost all hope of recovery, the US economy fell into a downturn that was very near to a recession. It then recovered for several years though never really shaking off all the lingering problems that arose during that time. 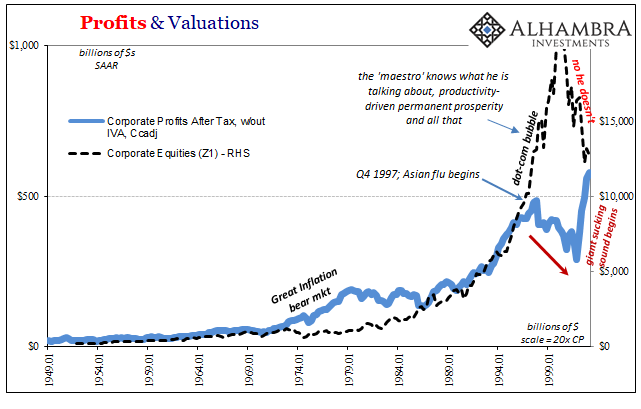 Stock prices, for one, surged in epic fashion; earnings, on the contrary, did not. Eurodollar #3 played out much the same way. The Asian economy was wrecked by a massive dollar shortage and the US barely escaped full-blown recession. 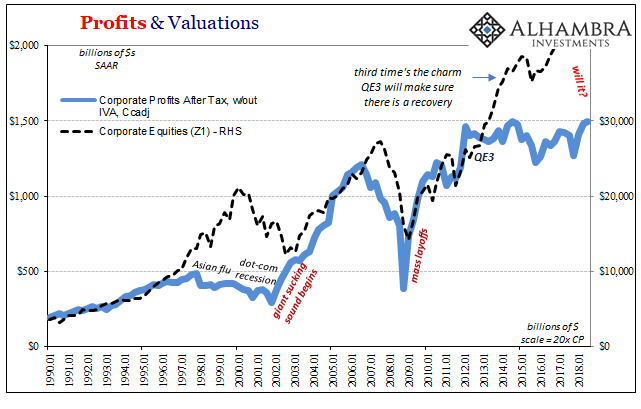 Reflation #3 which followed was similarly unimpressive in economic terms including inflation and earnings, yet share prices soared on the same promise and premise that the recent past wouldn’t matter. The future was going to be limited to shades of awesome. In historical proportions valuations have been comparable only to the dot-com era. What may be similar and what could be repeating as a pattern is how there are very real limits to economic processes that are being created and sustained on pure hype. 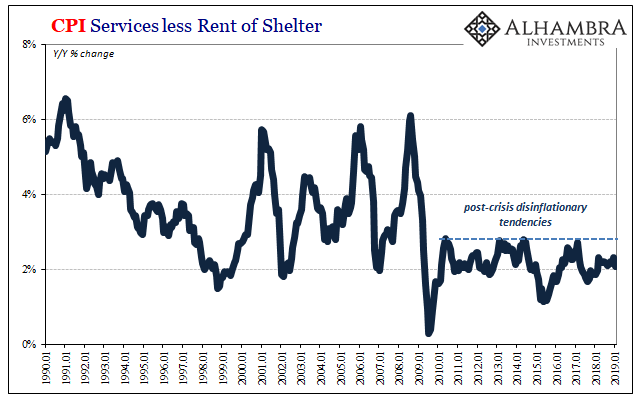 Businesses in 1999 and 2000 might’ve been able to ignore the pressures of a lackluster economic reflation given the promise of Alan Greenspan and acceleration in the future. By late 2000, though, time had run out. 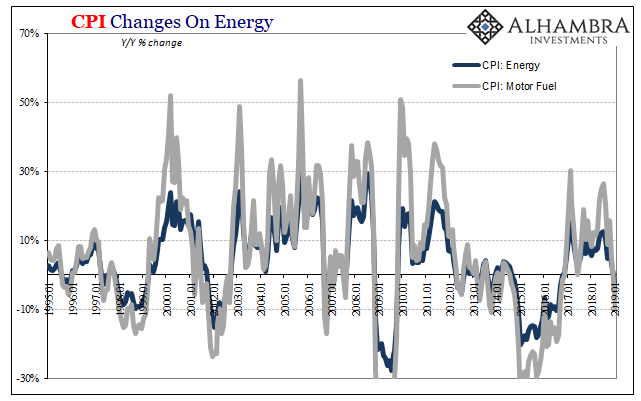 It might have been the same sort of thing in late 2016 and throughout 2017 under Reflation #3. 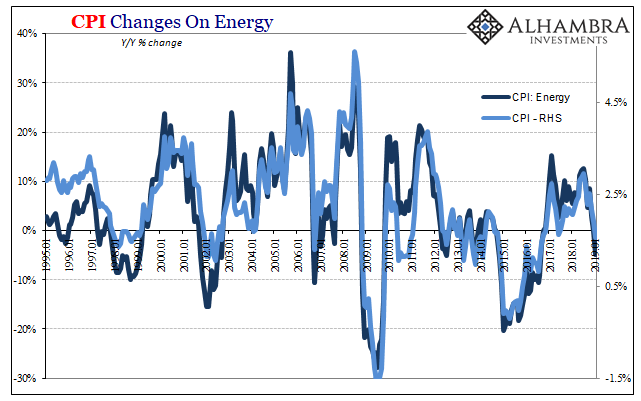 The underlying economy didn’t really change all that much for the better but expectations were intentionally elevated and pushed by “globally synchronized growth”, the marketing slogan invented by desperate central bankers and Economists.  Add 2018’s dollar shortage to the mix, and it may be that the global economy is once again reaching a sort of natural time limit for unkept promises. Though I don’t really want to, I’ll refrain from digression into fractals and self-similarity. Oil prices were in the middle of each and every one of those inflections, nineties and today. When businesses can’t afford to pay more for workers, scarce or not, that’s not the way toward sustained, long-term economic acceleration and health. Any positive years that may come out under those terms just aren’t going to be promising.